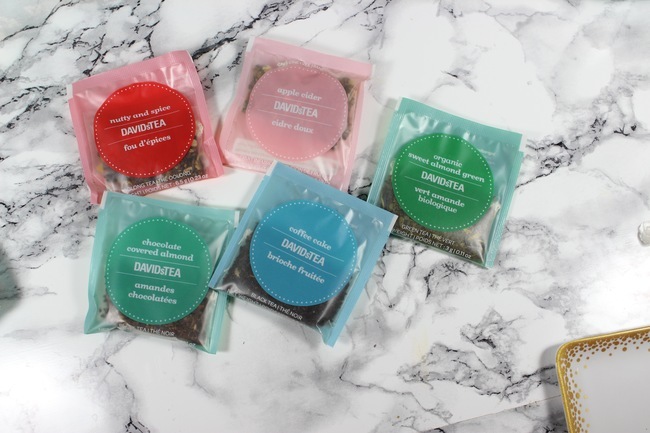 I thought I would do something a little different today and show you what I picked up at David's Tea, Superstore and Starbucks recently. I am a big tea fan with a large tea collection as well as many tea pots and cups...I have issues. 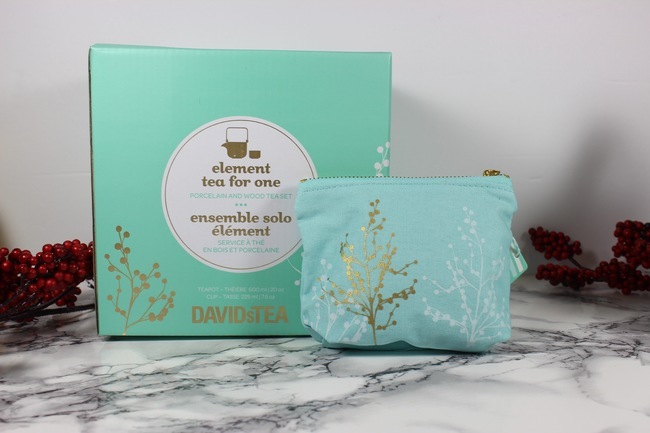 Just like with beauty stuff, the holiday collections always get me when it comes to tea. Eithne over at Tea & Nail Polish posted about holiday goodies at David's Tea, which made me run right to my closest store (very close it seems) and buy some stuff. 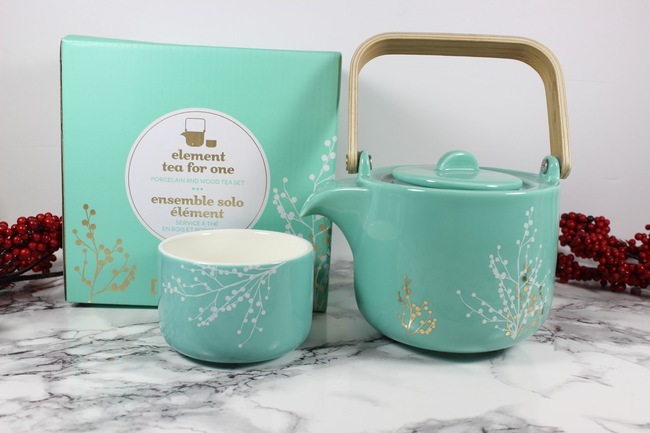 First off was an Element tea for one set. I've been gifted tea for one sets in the past and always found them a let down, the pot barley has enough water in it to fill the cup and they look very meh. 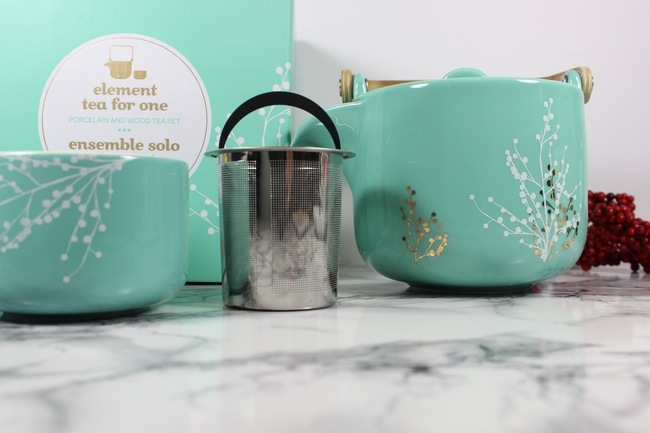 I instantly feel in love with he look of this tea, white and gold set. Not only can the pot hold lots of water (perfect for a refill), it also has a strainer so your tea can be loose. I also love how the lid fits on top when not using it. It is going to look cute near my snowman tea pot and cherry blossom tea pot. The next think I had to have was a pouch that contained all 5 winter tea flavours in tea bags. It was $10 and I really liked the little pouch, that is really why I got it. The only other thing I really want from David's is the Gold Perfect Spoon and Strainer, but they don't seem to be in stores yet. Next up is from the Superstore /Loblaws. They seem to have adorable elf, santa and reindeer tea products right now (cups, pots, plates) at really reasonable prices. I went because Eithne posted on her instagram a pic of a Rise & Shine mug. Now those of you that have known me a long time might remember my cat Shine who passed away in 2011. Well you can see why I wanted the mug. 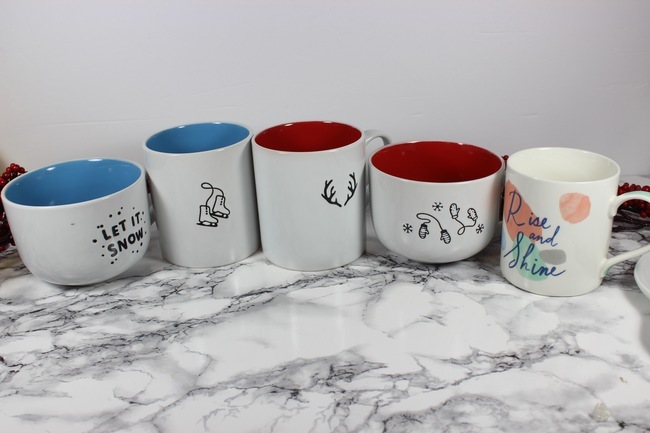 I also saw a bunch of cute winter themed mugs for $3.75 each. I got 4 with the plans of filling them with broken up gift sets for some family members (hopefully I'll do a post on the end results so stay tuned). Finally at Starbucks I got a fox mug. I have too many fox mugs (how many is too many? let me know in the comments) , and one that is actually similar, but I had to have this one. 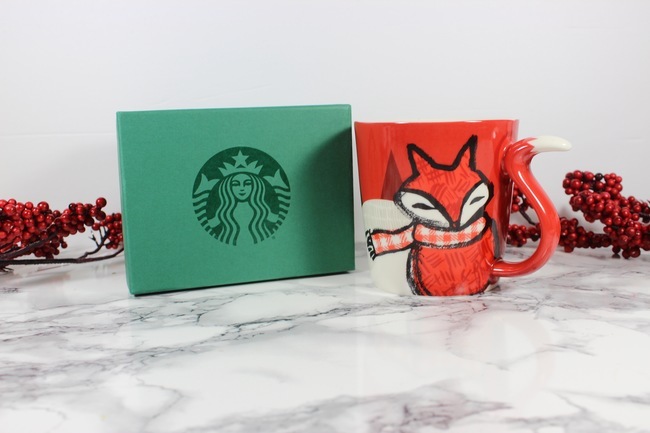 It was pricy at $18.95, but Starbucks makes nice mugs, and after all I am Ms. Fox. So there you go. 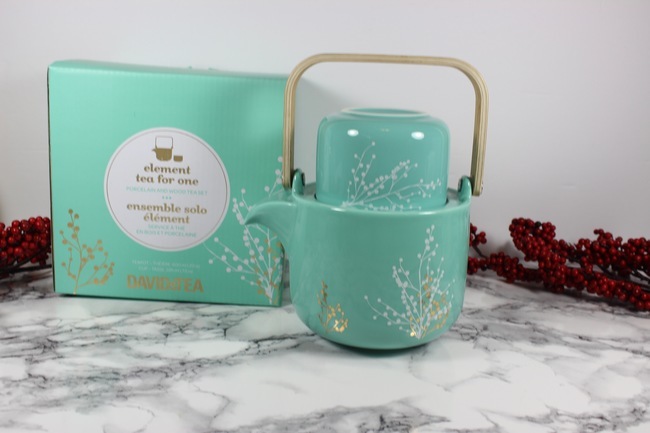 Do you like holiday tea/coffee items like these?